Home might be a hosue in the country. Or an apartment in the city. Or even a shoe. 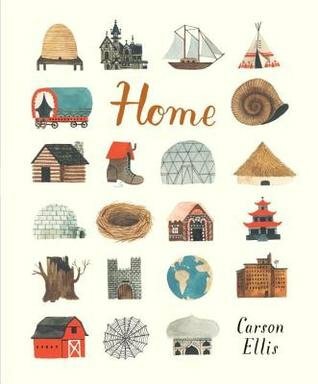 This loving tribute to the possibilities of home marks the solo debut of Carson Ellis, acclaimed illustrator of the Wildwood series and artist for the band the Decemberists.